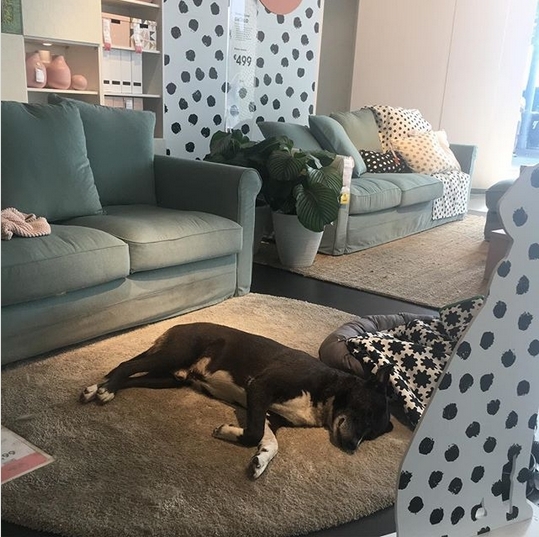 The shop's staff in Catania, Italy, have even pampered and fed the dogs, with some of the lucky canines going on to be adopted by staff. 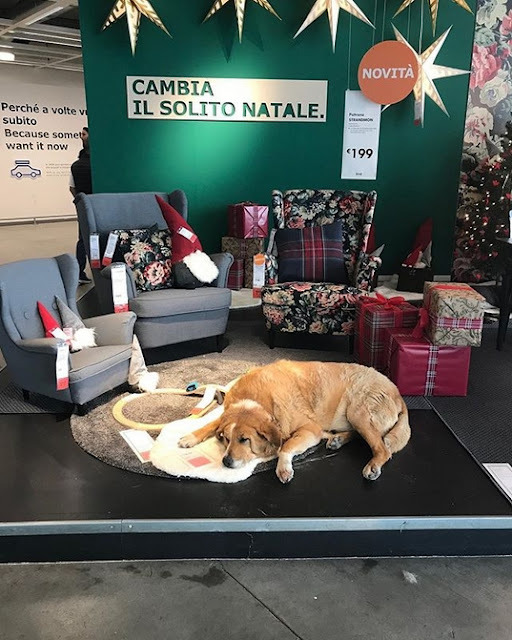 A video shared on Facebook shows a couple of the dogs happily lounging between the store's furniture displays. It was shared by Martine Taccia who said she was 'amazed' by the gesture. 'A good initiative to shelter the strays while it's raining outside,' she wrote in Italian on her Facebook post. Her video of the adorable dogs is now approaching one million views on Facebook alone. 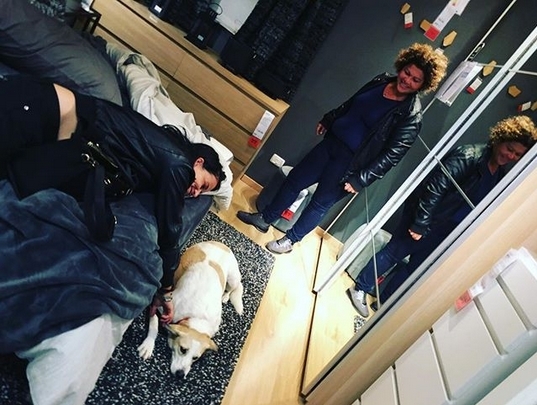 Other people have taken to the internet to share their praise for Ikea, who are no strangers to animal welfare. In 2014, the retailer partnered up with animal welfare groups in a project called 'Home For Hope'. 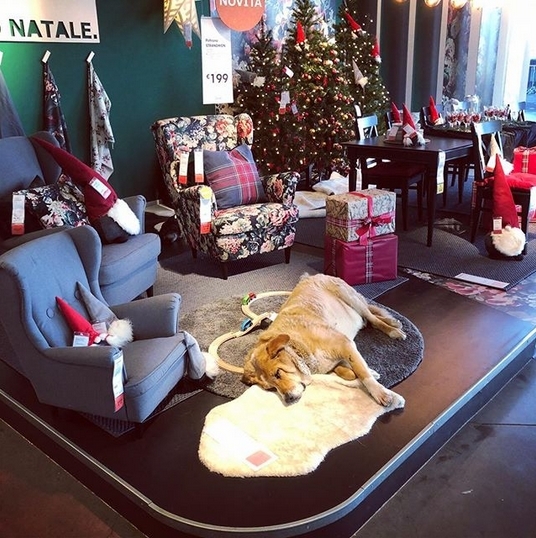 As part of the initiative, standing displays of dogs were placed among the store's furniture to attract potential adopters. Ikea outlets that took part in the campaign included those in the United States and Singapore, most Ikea stores in the UK have a strict no dogs policy unless it is an assistance dog. 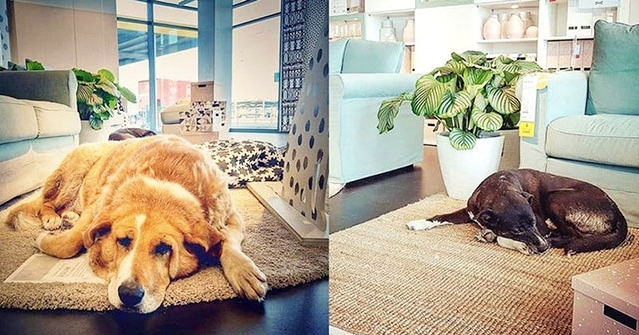 Responses to "Ikea opens its doors to help protect stray dogs from the rain"